Glacier National Park's Two Medicine Valley. You won't see billboards advertising our businesses. We would rather not be in the way of views like this. Come experience Sprinter—a season unique to Glacier’s East Side where you can experience snow, intense sun and wind that takes your breath, often all in the same day. The Rock 'n Roll Bakery will again churn out amazing pastries, cookies, bars and pies! Hand-made from scratch using the finest ingredients. Sweet and savory, our selection will fuel your Glacier adventure. Stop in and check out the Osprey packs, the Black Diamond hiking poles, Darn Tough socks and tons of other hiking, biking and camping gear. The Two Medicine Grill boasts all butter crust pie. You won't find filler fruits or gelatins or other strangeness in our pie. Come on in and grab yourself a shake, burger, homemade soup, salad and "hand-made with love" pie for strength pie. 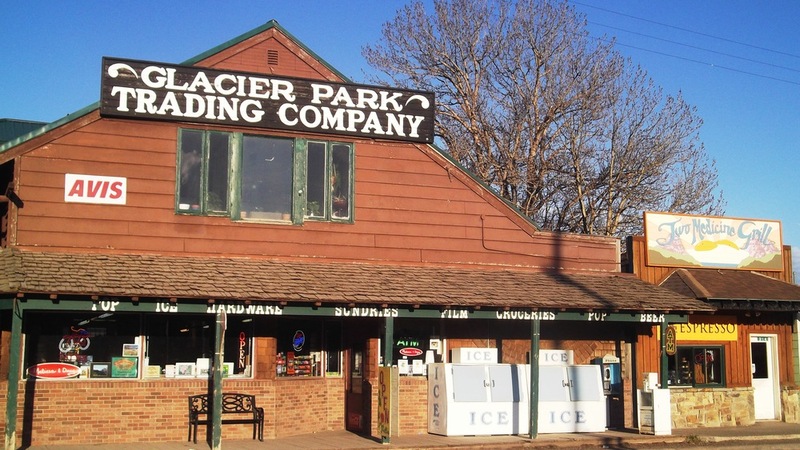 Choose from thousands of t-shirts, toys, books, huckleberry products, fine wines, groceries and more at the Glacier Park Trading Company. We make it a priority to support our fellow Montanans by stocking their homemade jams, soaps, lotion, jewelry, honey, maps and more. 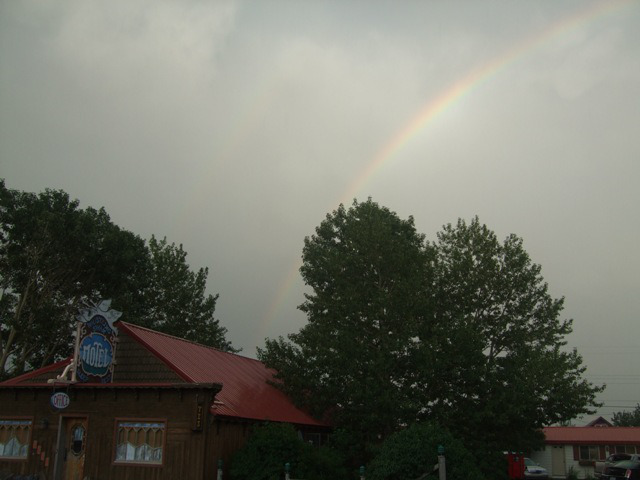 Want to work with great people in busy retail and food service businesses and have 3 or 4 days off to explore Glacier Park? Give us a holler at seeglacier@gmail.com. Relax and rejuvenate in the clean and cozy rooms at the Whistling Swan 406-226-4412 or book on expedia.com . Fueling and outfitting you for your Glacier Adventure. The Rock 'n Roll Bakery: Gear & Goodness is open daily from 7:30am-2pm. 406-226-5553. 34 Dawson Avenue, East Glacier Park, MT 59434.